We love to talk about religious studies here in the Department. We love to talk about religious studies so much that we decided we should record some of it. That’s why we are happy to announce the launch of our new podcast: Study Religion. The podcast will bring those outside our campus into the conversations we are having on the balconies and inside the offices of Manly Hall. It will provide a venue for students to talk about and showcase their undergraduate research. It will give students in our new M.A. program an outlet for their skills and an opportunity for professionalization. It’s a chance to make everything great about this department more accessible to a larger audience. The show will be a mix of genres. It will feature interviews with faculty and guests about their work, analysis of current events and popular culture, and segments produced by students. We’re aiming for an episode or two a month, but they will be occasional and their frequency will reflect the goings-on in the department and the larger field. Please subscribe to us on iTunes and leave a comment and a rating. That really helps others find the show. You can also find us on SoundCloud. In the first episode, I sit down with Prof. Russell McCutcheon, the Department Chair, to talk about what makes this Department what it is and what we’re trying to do around here. 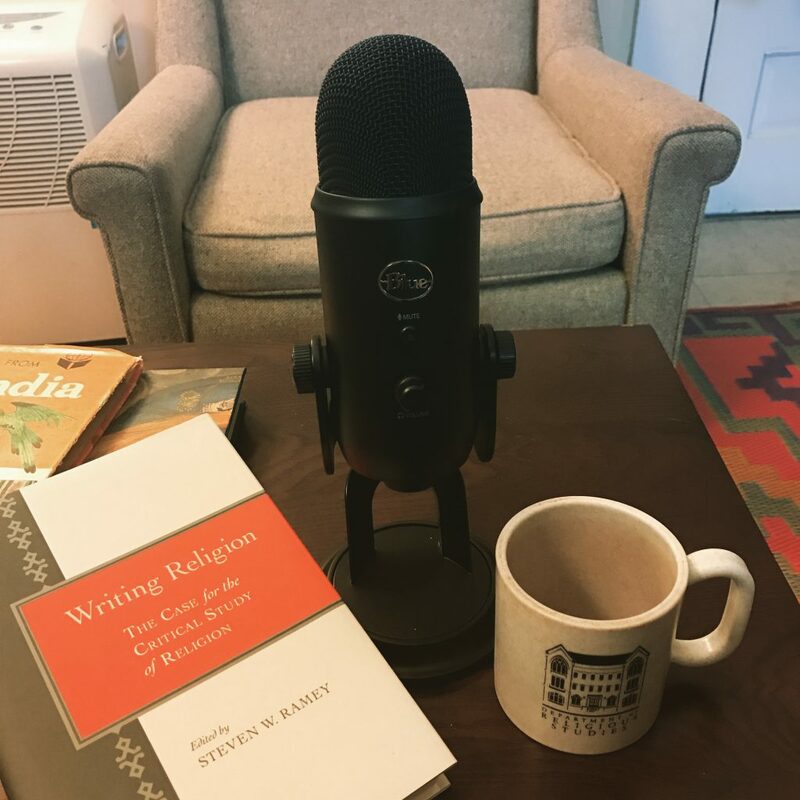 In the second half of the show, I’m joined by Prof. Merinda Simmons, our Graduate Director, to talk about the new MA in Religion in Culture that we are launching in the fall. This entry was posted in Relevance of Humanities by Michael Altman. Bookmark the permalink.